The market for sparkling water is growing with an increasingly health-conscious public, and Moda reports more venues benefitting from its cost-saving draught system that “just makes sense”. Many consumers are choosing to drink sparkling and still water over alcoholic beverages and soft drinks, particularly to accompany a meal. 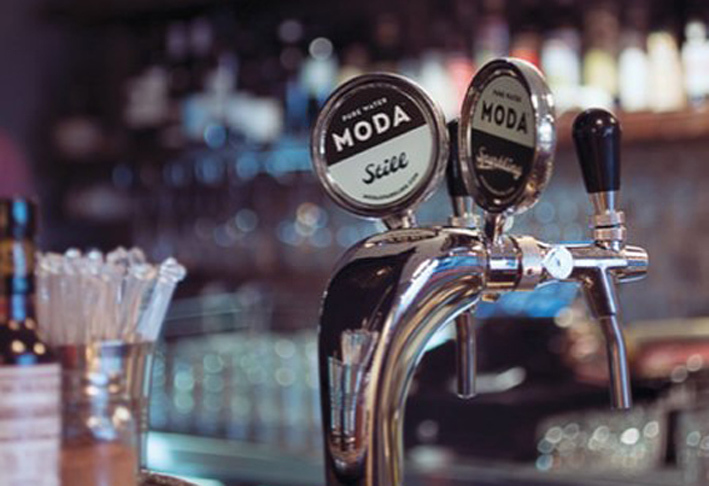 The Italian-designed Moda draught system chills, filters and carbonates water, eliminating bottled water taking up fridge and storage space, and dramatically improving margins on sales. The system has been servicing high-end restaurants and bars for several years, but the company reports more and more pubs and clubs taking it on, due to the footprint and profit benefits. Scott Whitehouse has had it at his Tilbury Hotel in Woolloomooloo for around a year and told PubTIC it has proven a great alternative to bottled sparking water. “Like anything else on tap, sparkling water just makes sense,” he says. The Tilbury joins Merivale’s Bellevue Hotel, the Colosimo’s Momento pubs, May’s Manly Wharf Hotel, Gallagher’s Mr G’s, and Laundy’s Woolwich Pier, along with big clubs such as Panthers and Tradies. “We’ve had a great response from customers, and subsequently installed systems in three separate drinking and dining areas,” reports Steven Frig, beverage manager at Tradies. 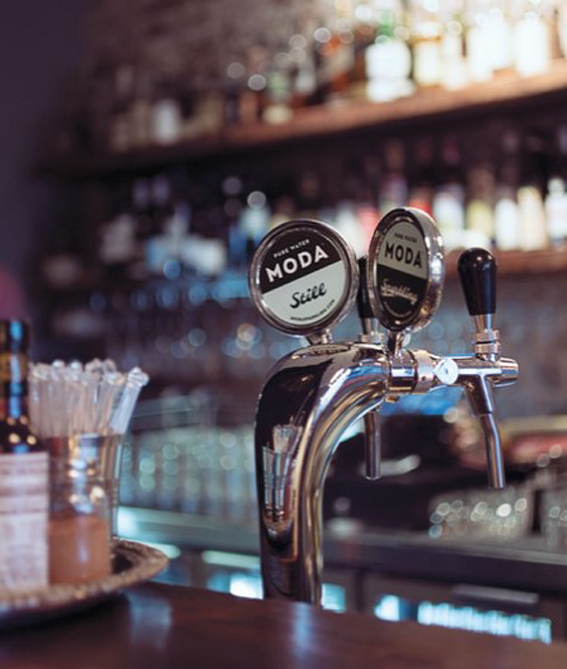 Moda was created out of a desire to mirror the taste and quality of premium bottled water, which the inventors say is a “long-standing obsession of Italians”.